Come join us for a day of fun and community awareness as we walk around Sar Ko Par Trails Park. Don't forget about the bounce house, DJ, photo booth, and face painting as well as Old Chicago Pizza. Plenty of parking is available in front of Sunflower Shelter which can be reached by entering the north side of the park near the skate park. See you there! Thank you to our volunteers. Everyone is invited to join the committee in the planning of this walk. Please email us at events@nephcure.org for questions and details. Start your team today! Team fundraising is a great way to get your friends, family, co-workers and neighbors involved. Just click on the "Register" button to get started. Cannot attend in person – You can still participate by being a “virtual walker” via the “Register” button. Set-up a solo registration or join a team by selecting participant type of “virtual”. You will still be a part of the team and will receive a commemorative walk T-Shirt for your fundraising efforts. Be sure to share your fundraising page frequently with your email and social media contacts. Other activities such as lemonade stands, car washes, bake sales and restaurant nights are great ways to get your team together and reaching your fundraising goal. We appreciate your donation to support this walk. To make a donation via credit card, select the “Donate” tab above. 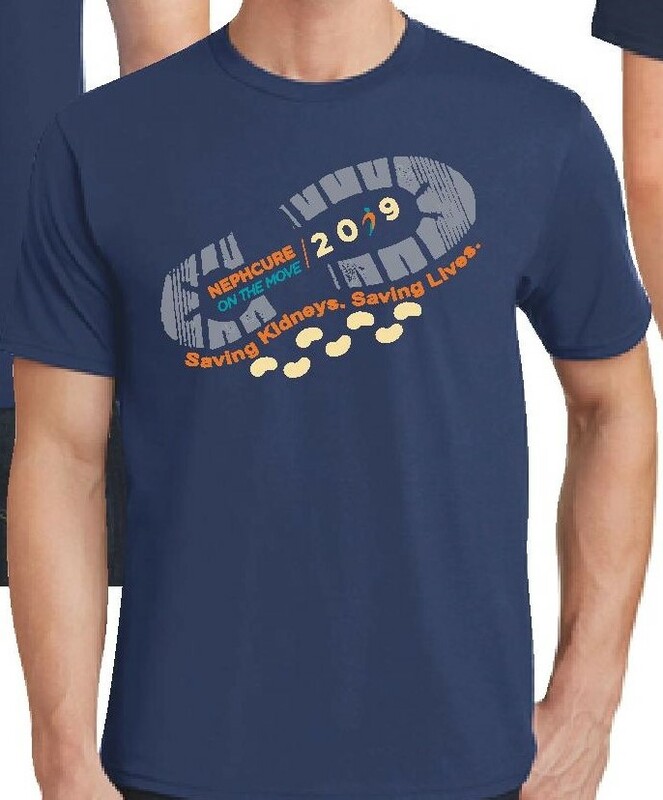 Walk & Team contributions can also be made via check payable to “NephCure Kidney International” and mailed to 150 S. Warner Road, Suite 402; King of Prussia, PA 19406. Please make sure that you indicate the walk city and team name on the memo line. Many employers will match employee donations, which means you can create DOUBLE the IMPACT. Your employer may even triple your gift! Some corporations also offer matching gift programs to spouses or retirees from their companies. Use the search tool below to see if your employer has a matching gift program. Help us recruit sponsors! Ask your local businesses to help out. Cash sponsors are great, but we also love in-kind donations (think water bottles, gift cards, product donations...). Everything helps! Every registered participant will receive a shirt on the day of the walk. Use your creativity to design your own t-shirts and raise money for your team! Click HERE to view NephCure's templates or create your own design! Help us spread awareness of the Kansas City NephCure Walk to the public and the media. Please distribute the walk flyers to your friends and families, physicians, schools, sports teams, post on bulletin boards, upload to websites, put on your refrigerator, etc. Have any media contacts? Willing to send to the press, TV & Radio stations, post on online media websites, etc. Do you have some ideas for us? Do you want to help out with some of the event details? Reach out to us to find out how you can be more involved.